It is a mystery to me that so few people in Havana know about this charming little restaurant. It’s like a best-kept secret among the regular customers, who are mostly residents of Miramar — probably to keep Tocamadera as it is. The restaurant is so calm and laidback that it may be easily overlooked. However, once you step in, you’ll notice its charming bohemian décor, which adds to the chill and casual atmosphere. If you’re looking for a new spot for intimate lunches or a quick cup of coffee, try Tocamadera! You won’t regret sinking your teeth into one of their tasty gourmet burgers. To keep the menu seasonal and exciting, the menu changes on a daily bases. Crafted with the freshest seasonal ingredients available on the market, the dishes are simply impeccable and made with passion. For starters, we ordered focaccias with tomato, arugula and cured cheese, which was enough to fill three people. Perfectly toasted with crisp-crunch crusts, the focaccias were delicious! 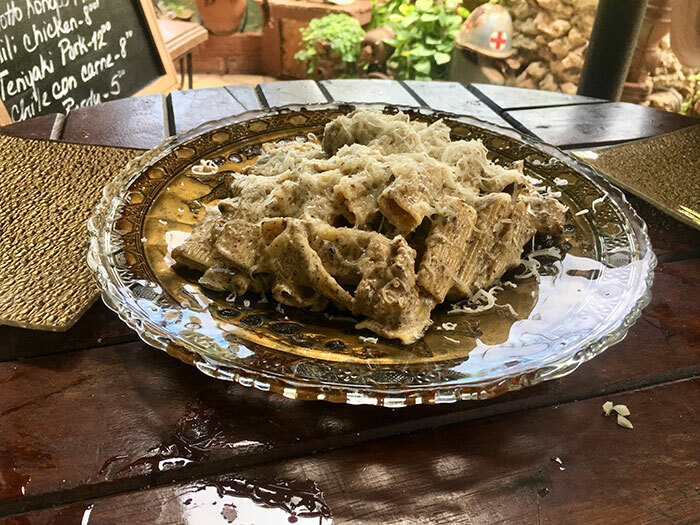 Although the menu is kept fun with rotating ingredients, ask for the chicken pasta with decadent truffles and manchego cheese. It may be one of the best dishes we’ve ever tried here. As for drinks, try their selection of natural juices such as fresh frappé lemonade. 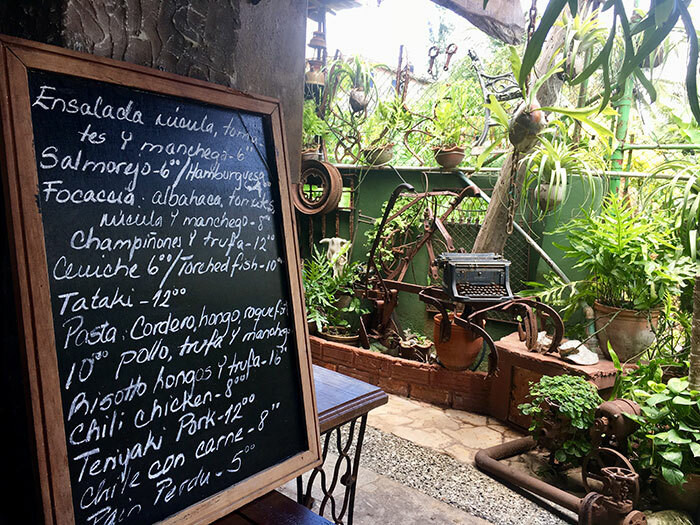 With a combination of excellent quality, the relaxed atmosphere and great service, Tocamadera is easily one of our favorite hidden gems in Havana.